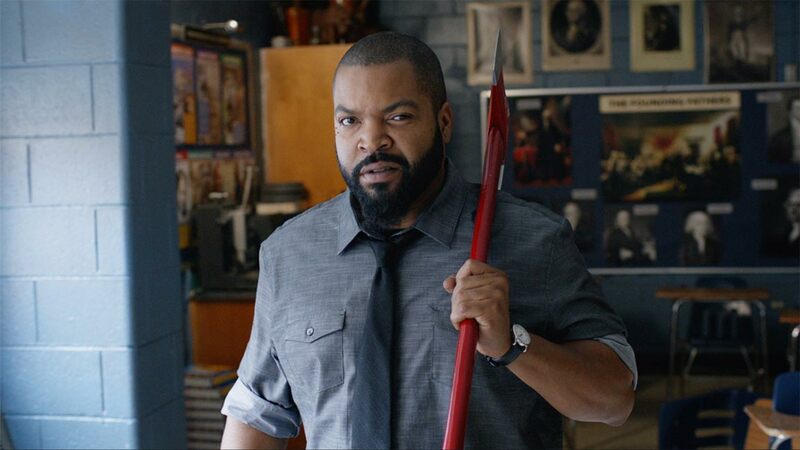 Second trailer for Fist Fight, starring Ice Cube, Charlie Day, Tracy Morgan, Jillian Bell, Christina Hendricks and Kumail Nanjiani. Fist Fight is actually a remake -- sigh -- but it's taking a different spin on the concept from 1987's Three O'Clock High. But, in that film, it's two high school kids who end up scheduling an after-school brawl. Not the teachers. The film is the first non-cameo feature for Tracy Morgan since his accident with the Walmart 18 wheeler. After the accident, Morgan sued Walmart and was able to get $10 million for the family of Morgan's friend and collaborator, James McNair. Morgan himself suffered a broken leg, broken femur, broken nose and a number of broken ribs. The damage was so bad that the comedian had to do rehabilitation training. Though initially angered by the collision, Morgan publicly forgave the driver during an episode of Conan O'Brien in late 2016. 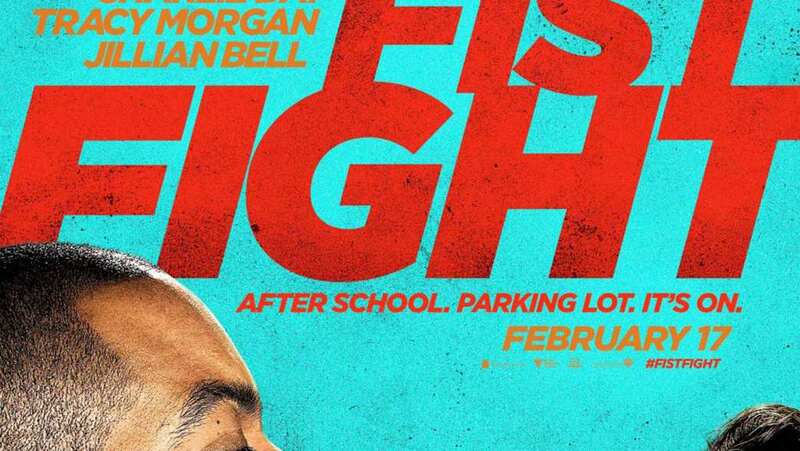 I absolutely adored the first trailer for Fist Fight, and the latest preview is no different. 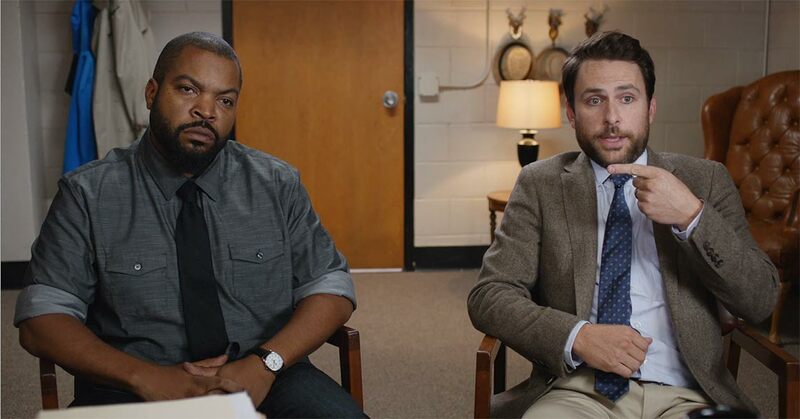 Unlike the first, this new preview gives some backstory on why Ice Cube is coming after Charlie Day. "Snitches get stitches." Amazing. A line I plan on using repeatedly. The only thing that bums me out is that this time around we don't get the great usage of the classical piece "O Fortuna" by Carmina Burana. Instead we are given "GDFR" by Flo Rida, which has lyrics that fits. "It's going down for real." Yeah, that works. While the video starts off a bit slower than the last, attempting to make the film spoof as a thriller, it kicks into full gear once Flo Rida gets singing. Bring on the characters! Once the plot is established, we get to meet a number of supporting cast including Jillian Bell, Tracy Morgan, who looks hilarious as ever, and Kumail Nanjiani.